My new book is now available on Kobo.com and soon to be released for Nook and iBooks. Will keep you posted when it’s up. UPDATE!! Now available on BN.com for Nook and Apple for iBooks! It’s live, people, it’s live! In pursuit of the goal to learn the ins and outs of independent publishing, I’ve taken the first step, finally. 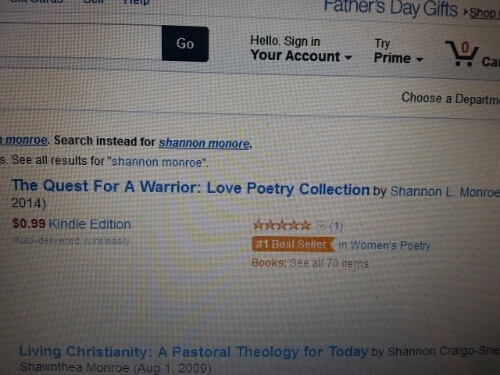 Check out the first release from Noruda Publishing, The Quest For A Warrior – Love Poetry Collection. Currently, it’s only available for all the Kindle devices or its various applications, but coming soon to the other retailers. Check it out from my Author Central page, and send me a comment if you like!